In Himalayas, Ganges Began with Divine Help A six-part series on the source of India's great river begins in the Himalayan village of Bhaironghati, where villagers prepare to take a statue of the goddess Ganga to her summer temple. 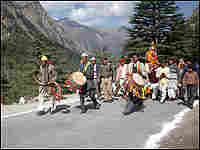 Mangaldas and villagers bearing the Goddess Ganga en route from Harsil to Bhaironghati in the Indian Himalayas. In 2004, NPR's Vice President for Legal Affairs, Neal Jackson, traveled to India with producers Julian and Martine Crandall Hollick to gather material for their radio series on the river Ganges. Read his essay, in which he describes the journey to the sacred river's source. 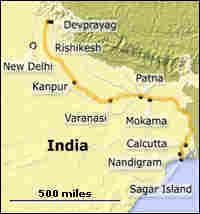 The Ganges River is 1,500 miles long from the Himalayas to the Bay of Bengal. The river's water is the lifeblood for more than 600 million people in India and Bangladesh. 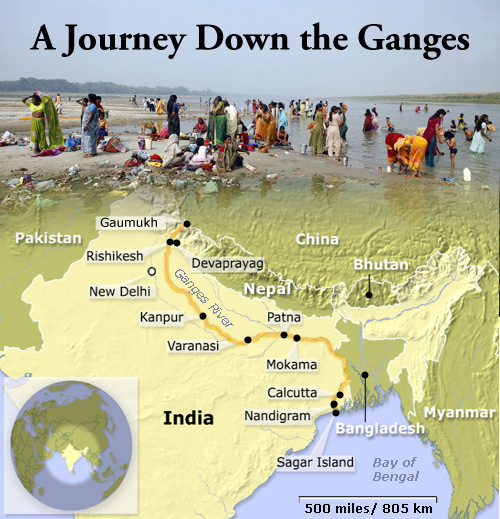 The Ganges River — Ganga in Hindi — is the lifeblood of more than 600 million people in India and Bangladesh. Farmers depend on the river for their crops. Millions depend on its water for washing, cooking, drinking and to carry away their waste. And many worship the Ganges as a goddess, whose waters will cleanse them of sin and help them attain moksha, or salvation, by carrying their ashes to heaven. Yet the Ganges is under great threat from pollution and a rapidly modernizing India, whose appetite for water far outstrips the river's capacity. In the first of a six-part series, independent producer Julian Crandall Hollick travels deep into the Himalayas in search of the source of the Ganges. 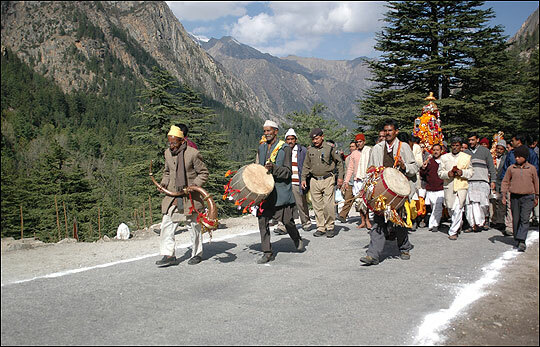 His journey begins in the tiny village of Bhaironghati, where villagers take a two-foot high statue of the goddess Ganga and prepare to take her to her summer temple at Gangotri. That's where, Hindus believe, the river came down to Earth in a lock of hair. 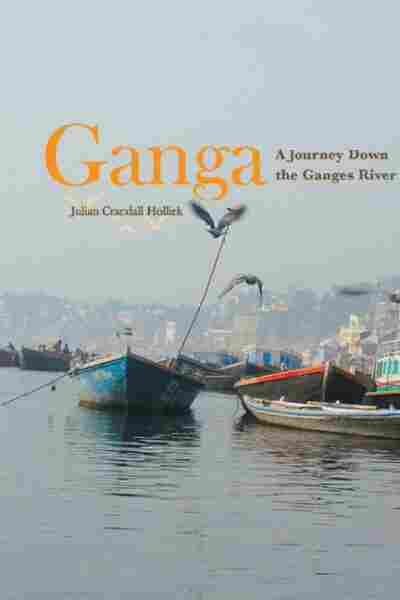 As the ceremony to install the goddess gets under way in Gangotri, Hollick hears the story about how Hindus believe the Ganges descended from heaven.